I was on KCRW's very popular show, GOOD FOOD, hosted by Evan Kleiman last Saturday! As a fan of the show for many years, it was such an honor to be invited to speak about donabe and my cookbook, DONABE - Classic and Modern Japanese Clay Pot Cooking. 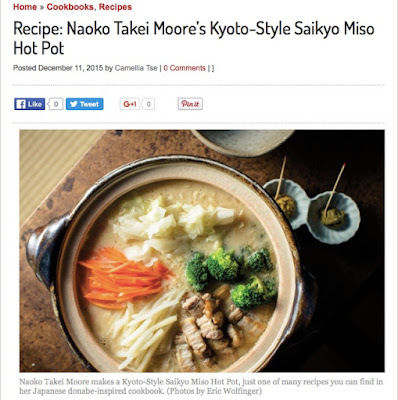 Please check out the article about my donabe, cookbook, and donabe recipe plus the audio link of my interview in KCRW's website, linked here. And, here's the direct link to the audio.